Iguanas are highly adaptable lizards, characterized by their long thin tails and spines along their back. They are mainly herbivores, but have been noted to eat things such as eggs, insects and rodents when they need to. Iguanas are also talented climbers and swimmers, making most environments suitable for them to escape potential predators. There lizards are found all over the world, but are concentrated in Central and South America and the Caribbean. Our two green iguanas are the more common of the iguana species found in South America, the others being the larger Black iguana, in Central America, alongside the Rock and Lesser Antillean iguanas – which are only found on islands in the Caribbean. 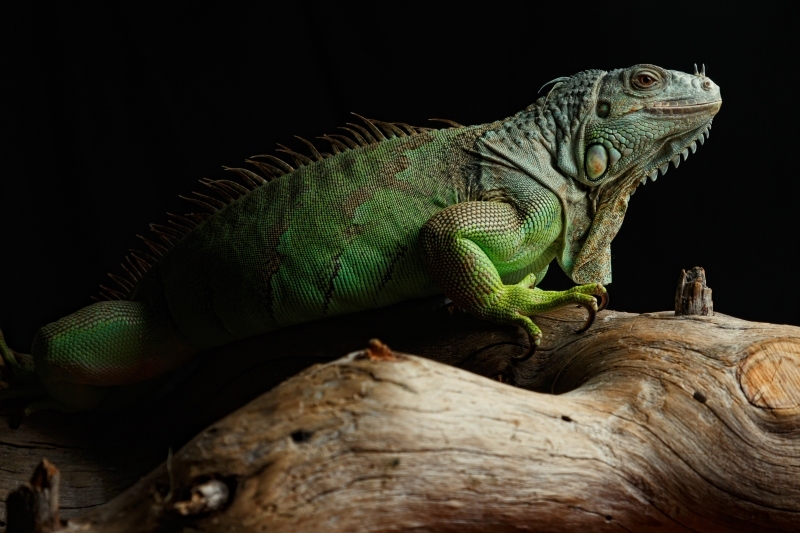 The Green iguana, however, can be found right across South America and is famous for its bright green scales and relaxed approach to life. There are even so many of the lizards in places like Puerto Rico that they are considered pests, but a lot of people think they make good pets, but they need a lot of looking after. So many people in the USA have found it too hard to look after their pet iguanas, and released them into the wild, that there are wild populations in places like South Florida and Hawaii. Iguanas have a third eye called the parietal eye, which can only detect how bright it is. 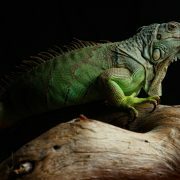 Iguanas have excellent eyesight and use it to navigate the rainforest and find food, but it is really bad in low light. Iguanas can lose/detach their tail and grow a new one. Iguanas invaded the island of Antigua after a few were swept onto the island by a hurricane.